He, Joe Dimaggio, and Charlie Keller formed a great outfield in the 40′s when men weren’t off fighting World War II. Henrich’s career stats would have better if not for the 3 years he lost due to his service in the Coast Guard, and back trouble late in his career. After his days were up as a ballplayer, he was a Coach for the Yankees, Detroit Tigers, and New York Giants. RIP. Tommy Henrich, nicknamed “Old Reliable” for his knack of delivering clutch hits for the New York Yankees, died Tuesday. He was 96. Henrich died in Dayton, Ohio, the team said. Henrich was a five-time All-Star outfielder who joined the Yankees in 1937 and finished in 1950, winning four World Series championships. He missed three seasons while serving in the Coast Guard during World War II. Henrich hit the first game-ending home run in World Series history, leading off the bottom of the ninth inning with a drive against Don Newcombe to beat Brooklyn 1-0 in the 1949 opener. “He was extremely good in big games, games that meant something,” former teammate and family friend Bobby Brown told The Associated Press by telephone from his home in Texas. Yet Henrich’s most famous at-bat may have been a time when he didn’t hit the ball. In Game 4 of the 1941 Series against the Dodgers, Henrich struck out to seemingly end the game. But Brooklyn catcher Mickey Owen dropped the third strike, and Henrich raced safely to first base. Given another chance, the Yankees rallied for four runs in the ninth inning for a 7-4 win and a 3-1 Series edge. Henrich hit .282 with 183 home runs and 795 RBIs. He twice led the American League in triples and topped the AL by scoring 138 runs in 1948. Late in his career, he moved from right field and finished as a part-time first baseman. Henrich played in the World Series in 1938, 1941, 1947 and 1949 and won championships every time. He hit one home run in each Series. Lou Gehrig, Joe DiMaggio, Yogi Berra and Whitey Ford were among Henrich’s Hall of Fame teammates. According to the Elias Sports Bureau, pitcher Virgil Trucks is now believed to be the oldest living Yankee at 92 years. Henrich was born in Massillon, Ohio, a city known for its football prowess, and was longtime friends with famed coach Paul Brown. After retiring, Henrich was a coach with the Yankees, New York Giants and Detroit Tigers. Bobby Brown had stayed in touch with Henrich, and said he last saw him about four years ago. Brown said he got a phone call from Henrich’s daughter on Tuesday informing him of the death. “Tommy was a darn good ballplayer and teammate,” Berra said in a statement released by the team. “He always took being a Yankee to heart. “When I came up in 1947, he taught me little nuances about playing the outfield. Being around Tommy made you feel good, whether playing cards or listening to him sing with that great voice. He was a proud man, and if you knew him, he made you proud, too,” Berra said. 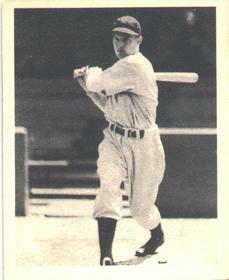 Henrich hit a career-high 31 home runs in 1941 and had 100 RBIs in 1948.